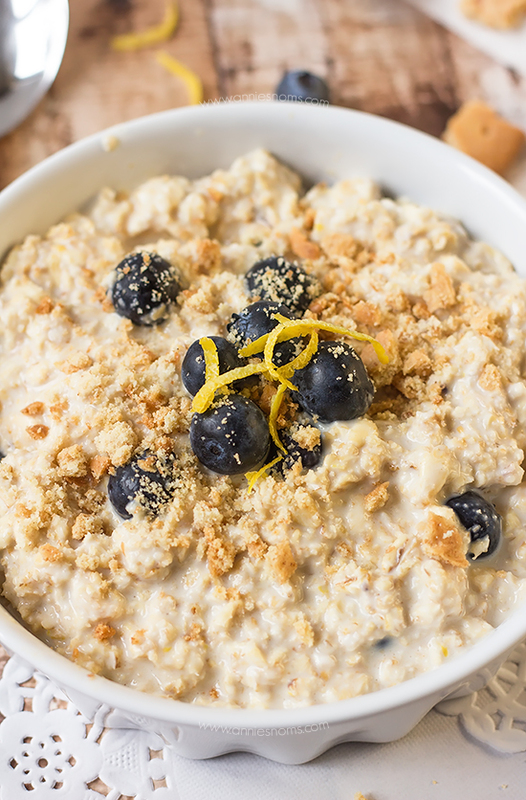 My Lemon and Blueberry Cheesecake Overnight Oats combine all the very best flavours of the classic cheesecake combination into a healthy, filling breakfast recipe. Thick, creamy and full of flavour – these will become a firm favourite! Hands up who wishes they could eat cake, cheesecakes and chocolate for breakfast every day and not end up being unable to do up their jeans? I mean, I’m sure some of us do already… Not me of course. 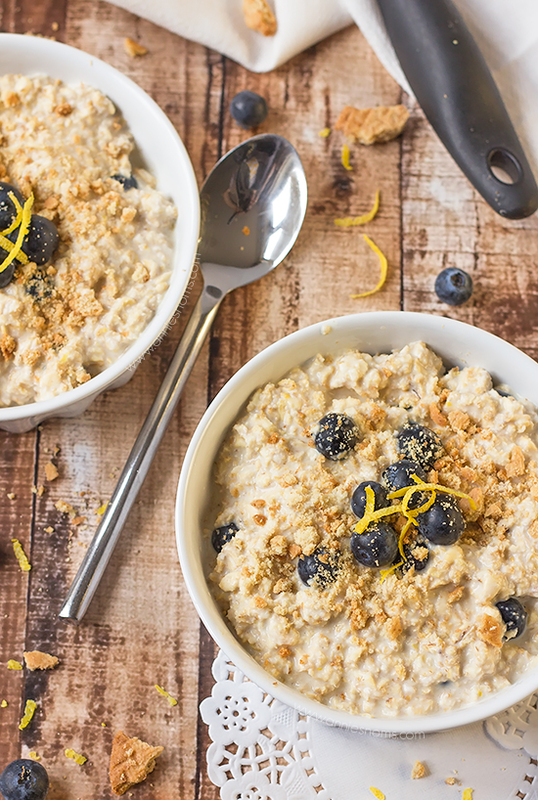 BUT, how about fooling your tastebuds into thinking they are eating a decadent slice of lemon and blueberry cheesecake when you’re actually eating a filling, heart bowl of oatmeal? 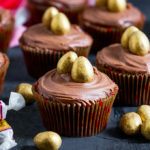 So, it’s January, it’s just been Christmas, we’re all feeling a bit lethargic and bloated… the healthy eating probably started this week… maybe on Tuesday, not Monday because you ate a sweet Chinese bun… And you’re still craving desserts, but know you shouldn’t really. I have starting exercising again this week after a bad knee injury and then Christmas, so I guess I’m doing something right! But, I’m one of those impatient people who wants to see instant results when I’ve eaten healthily for one day. We’re obviously all too used to things being instant these days with technology! I still feel a little bloated after Christmas though, so I want to flatten that tum back up, but without eating things that taste like cardboard. I’m obsessed with overnight oats at the moment; I’ve been having my Cinnamon Raisin Overnight Oats like every day, but I wanted a new, fresh version which was still packed with flavour. Lemon and blueberry is one of my favourite flavour combinations and I just knew I had to incorporate them along with the textures and flavours of cheesecake. 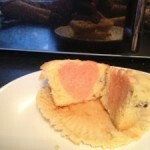 I used the zest of 1/2 a lemon, a 1/2 cup of fresh blueberries and 1/4 cup of lightest Philadelphia. I’m not usually one for “lightest” versions of things, but with Philly it’s actually nice and they’ve managed to still keep it creamy! 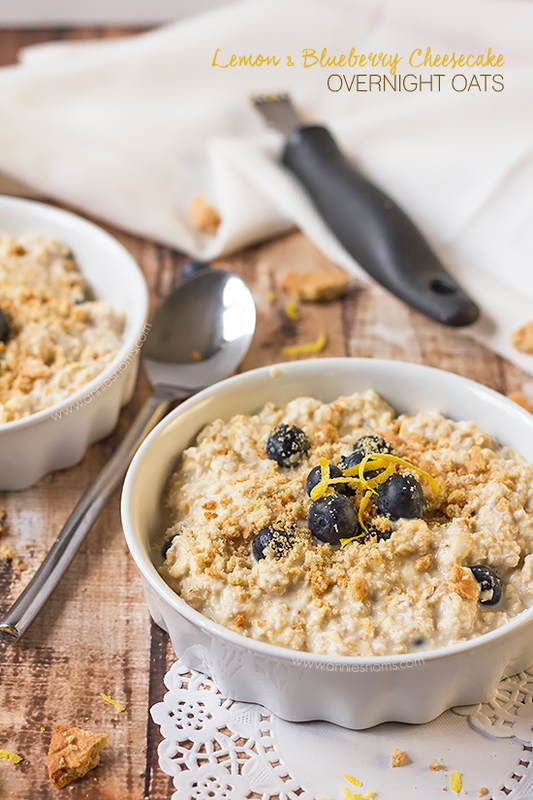 It mixes perfectly with the skim milk to create thick, creamy oats. Whack them in the fridge overnight and you have the perfect breakfast to go the next day! 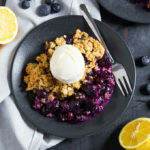 The sweetness of the blueberries means you don’t need to sweeten them too much – I used 3tbsp of natural sweetener, which was just enough to bring all the flavours together. Honestly, these are divine. 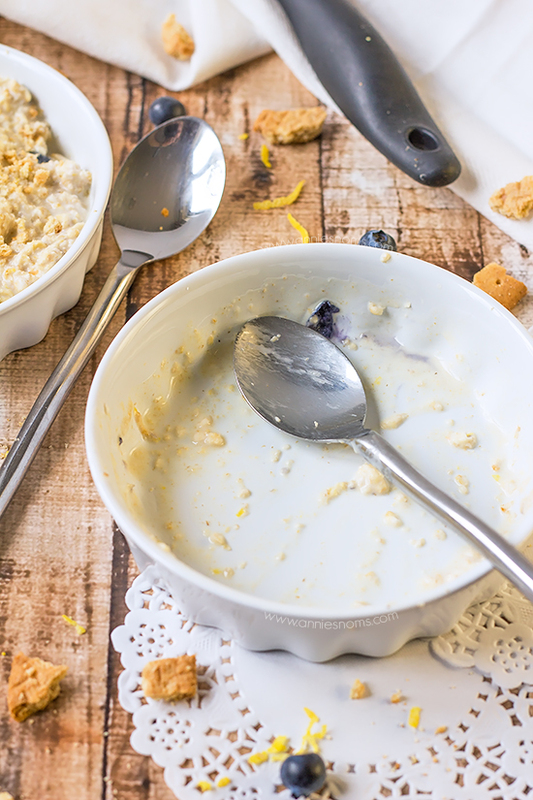 Velvety smooth, packed with juicy blueberries, refreshing lemon, the slight tang of cream cheese and then the slightest crunch of biscuit on top. 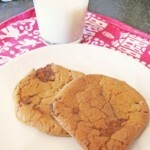 They are everything and more that I wanted them to be when I was developing the recipe. 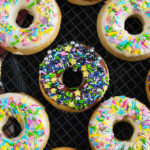 I could not believe just how AMAZING they turned out – I kept sneaking spoonfuls out of the fridge…Didn’t leave myself too much for breakfast, but oh well! 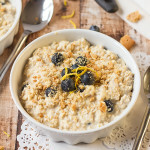 My Lemon and Blueberry Cheesecake Overnight Oats combine all the very best flavours of the classic cheesecake combination into a healthy, filling breakfast recipe. 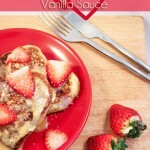 Thick, creamy and full of flavour - these will become a firm favourite! 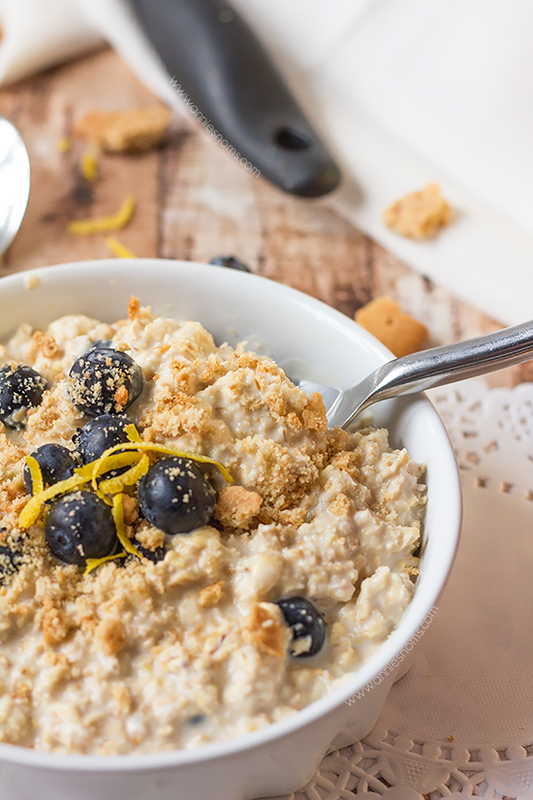 Place oats, lemon zest, blueberries and sweetener into a medium bowl and stir briefly to combine. Add in the cream cheese and milk and mix until well combined, make sure the cream cheese has mixed in properly, so you don't end up with lumps in your oats! Cover bowl with clingfilm or decant oats into an airtight container and place in the fridge for at least 3 hours, overnight is better. Before serving, crumble 1/2 a digestive biscuit/graham cracker over the top of your oats. 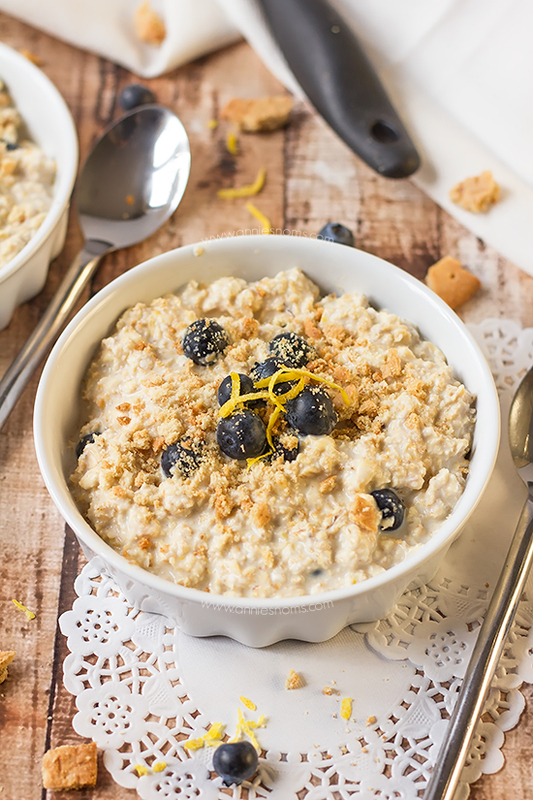 Oats are great right out of the fridge, or you can warm them in the microwave. 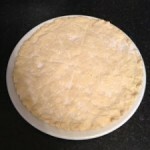 They'll keep in an airtight container, in the fridge for 2 days. sounds delicious! though, it’s so cold that i am not in the mood for overnight oats. maybe i can play around with a warm version of these. 🙂 i haven’t had good luck warming overnight oats up before. Delicious! These overnight oats look amazing! I love the combination of lemon and blueberry! Thanks for sharing! PINNED! This looks really good! I pinned it for later! Oh yum. I love oats and how fun is it to eat dessert at breakfast. Great photos too. Pinned!